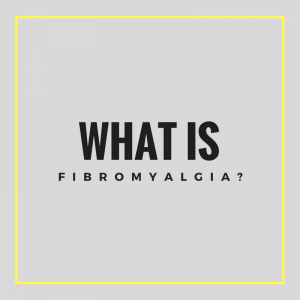 Fibromyalgia is a medical condition characterized by chronic widespread pain and heightened sensitivity to pain and pressure. Fibromyalgia affects 2-8% of the population, impacting females twice as often as males. With this disease, the pain threshold is seriously diminished, meaning it takes less of a stimulus to cause a pain response in these individuals. Fatigue, depression, difficulty sleeping, and memory issues have also been reported as symptoms of Fibromyalgia. Research has shown that consistent exercise, proper eating habits, and sleep are the best treatments for Fibromyalgia. While the individual with this condition may fatigue quicker with exercise, it is imperative to maintain a consistent workout schedule. Exercise releases positive endorphins in the body, so it has been proven to improve sleep and decrease pain in some individuals with Fibromyalgia. Even better, aquatic therapy has shown to be the most beneficial form of exercise. Why? The pressure and sensation of the water on the skin helps reduce nerve sensitivity and allows for freedom of movement. Aquatic exercise has significant cardiovascular and strength training benefits, both of which have been proven to be critical for this population. For more information on therapy programs at Dedham Health, visit our website. You can also call us at 781-326-8332.